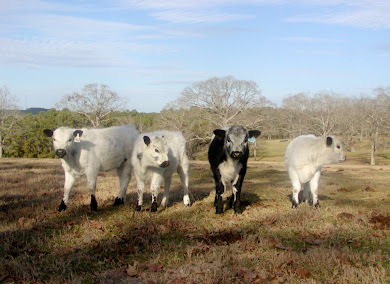 J.West's Colonel Beau is pictured here, sired by JWest's El Presidente and dam is JWest's Maude Rae. 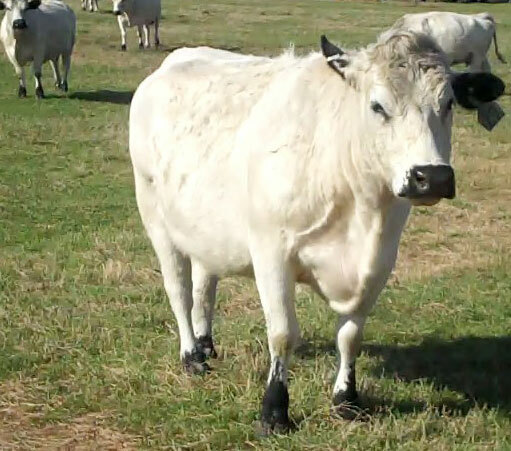 Colonel Beau is thriving under the care of Al and Dalene Ross and looks to be maturing into an excellent herd bull despite the extreme drought conditions of central Texas. 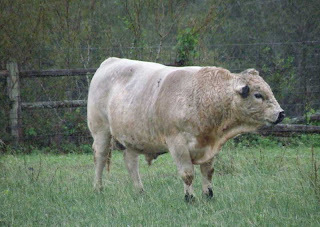 Colonel Beau is pictured below at 17 months of age; he measures 51" at the hip and weighs in at a whopping 1580 lbs on that very moderate frame. 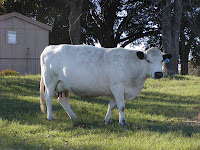 See Beau pictured at the close of this blog in October 2008 at 7 months of age, along with his dam, Maude Rae, pictured a few days ago. 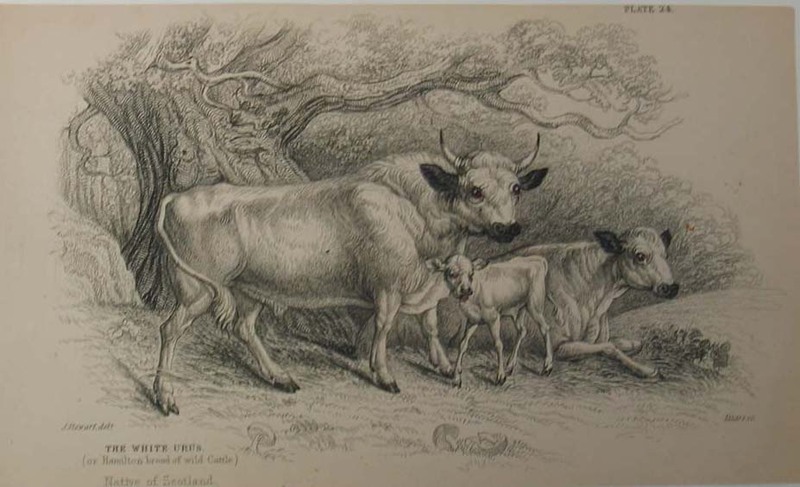 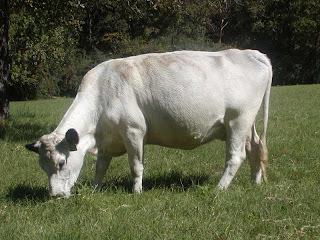 Colonel Beau's dam, Maude Rae, is the product of Huck Finn and a large deep-bodied British White female, CRAE 215G, pictured below. 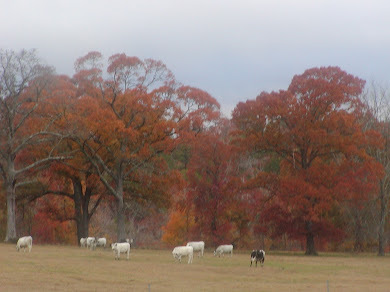 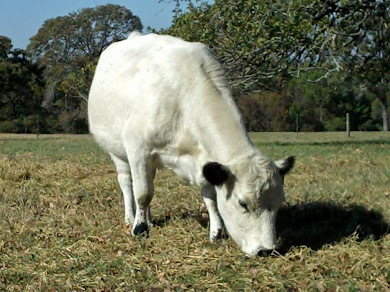 CRae is a cow of unsurpassed fertility and longevity, outstanding udder, and so much more, she was born in June 1992, and she remains a working female in a British White herd in Texas today at 17 years of age. 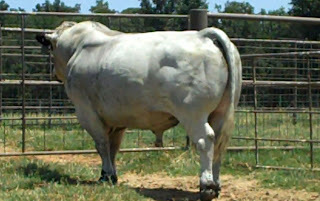 Beau's sire, J.West's El Presidente, is a Frame Score 2 bull of great masculinity and fertility. 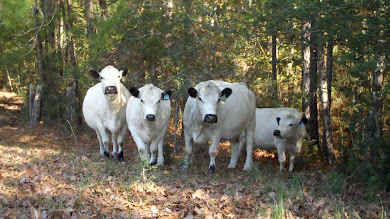 El Presidente's mature weight is 1650 lbs packed on his short frame, weight taken October 16, 2009. 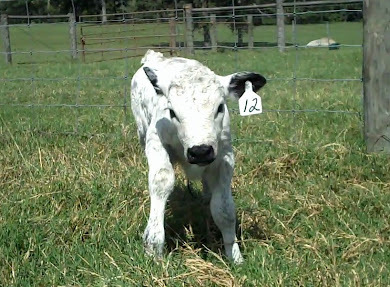 El Presidente has proven himself an outstanding sire of thick, moderate framed daughters; his short powerful genetics reduce the frame score of large framed dams without sacrificing body depth and breadth. 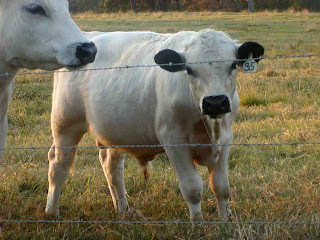 Colonel Beau shows lots of potential as being the best El Presidente sired bull on the ground today. 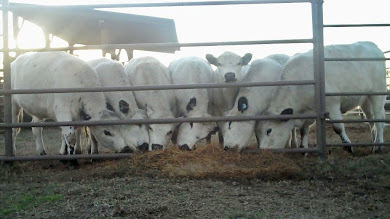 Many thanks to Al and Dalene Ross of Red Rock, Texas for sharing this photo with me, and my apologies for the delay in thanking you for sharing.